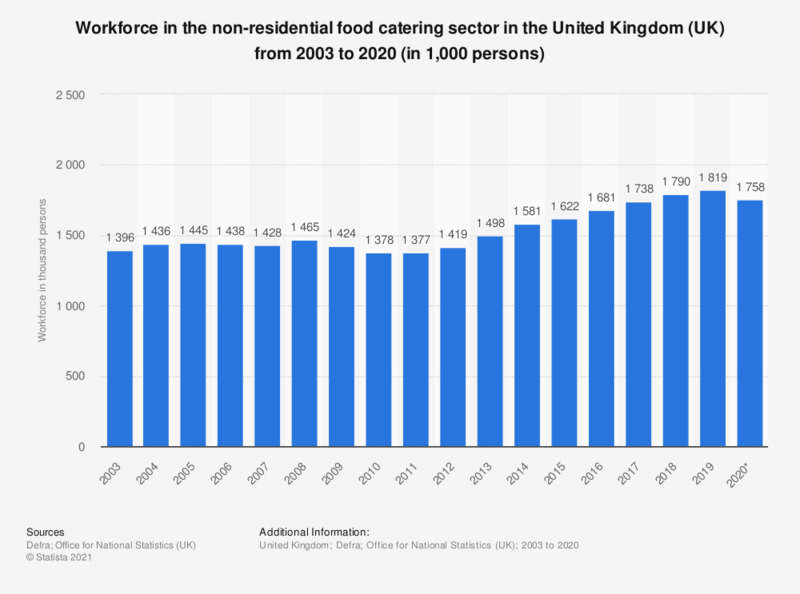 This statistic shows the workforce numbers in the food non-residential catering sector in the United Kingdom (UK) from 2003 to 2017 (in 1,000 persons). In 2016, the workforce in the food non-residential catering sector shows a volume of 1.65 million employees, which was the highest number of employees this sector presents over this period of time. Additionally, the share of food sector employment in the total workforce in the United Kingdom can be found at the following. Do you have the right training to work with...?